Aboody D., Lev B. (1998), The value relevance of intangibles: the case of software capitalization, Journal of Accounting Research, 36, pp. 161-191. Ahmed A.S., Morton R.M., Schaefer T.F. (2000), Accounting conservatism and the valuation of accounting numbers: evidence on the Feltham Ohlson (1996) model, Journal of Accounting, Auditing and Finance, 15, pp. 271-292. Ball R., (2006), International Financial Reporting Standard (IFRS): Pros and cons for investors, Accounting and Business Research, International Accounting Policy Forum, pp. 5-27. Barth M.E., Beaver W.H., Landsman W.R. (2001), The relevance of the value relevance literature for financial standard setting, Journal of Accounting and Economics, 31 (1- 3), pp. 77-104. Barth M.E., Clinch G. (1998), Revalued Financial, tangible and intangible assets: associations with share prices and non market-based value estimates, Journal of Accounting Research, 36, pp. 199-233. Besley D.A., Kuh F., Welsh R.E. (1980), Regression diagnostics: identifying influential data and sources of collinearity. (New York: Wiley Interscience). Boone J.P. e Raman K.K. (2001), Off-balance sheet R&D assets and market liquidity, Journal of Accounting and Public Policy, 20, pp. 97-128. Botosan C.A. (1997), Disclosure level and the cost of equity capital, The Accounting Review, 72, 3, pp. 323-349. Chalmers K., Clinch G., Godfrey J. 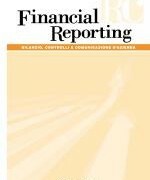 (2008), Adoption of international financial reporting standards: impact on the value relevance of intangible assets, Australian Accounting Review, 18, 46, pp. 237-247. Choi W.W., Kwon S.S., Lobo G.J. (2000), Market valuation of intangible asset, Journal of Business Research, 49, pp. 35-45. Dahmash F.N., Durand R.B., Watson J. (2009), The value relevance and reliability of reported goodwill and identifiable intangible assets, The British Accounting Review, 41, pp. 120-137. Dechow P.M., Hutton A.P., Sloan R.G. (1999), An empirical assessment of the residual income valuation model, Journal of Accounting and Economics, pp. 1-34. Dimson E., Marsh P., Staunton M. (2002), Triumph of the optimists: 101 years of global investment returns. (Princeton: University Press). Di Pietra R., McLeay S., Riccaboni A. (2001), Regulation accounting within the political and legal system, Contemporary issues in accounting regulation. (Boston: Kluwer Academic Publisher), pp. 59-77. Easley D., O’Hara M. (2004), Information and the cost of capital, The Journal of Finance, 59, 4, pp. 1553-1583. Feltham G.A., Ohlson J.A. (1995), Valuation and clear surplus accounting for operating and financial activities, Contemporary Accounting Research, pp. 689-731. Financial Accounting Standard Board (FASB) (1978), Objectives of Financial Reporting by Business Enterprises, Statement of Financial Accounting Concepts, 1. Garcìa-Ayuso M. (2003), Factors explaining the inefficient valuation of intangibles, Accounting, Auditing and Accountability Journal, 16, pp. 57-69. Godfrey J., Koh P.S. (2001), The relevance to firm valuation of capitalizing intangible assets in total and by cathegory, Australian Accounting Review, 11, 2, pp. 39-48. Holthausen R.W. e Watts R.L. (2001), The relevance of the value relevance literature for financial accounting standard setting, Journal of Accounting and Economics, 31, pp. 3-76.
International Accounting Standard Board (IASB) (2008), Exposure draft of an improved conceptual framework for Financial Reporting. Jeggings R., Robinson J., Thomson II R.B., Duvall L. (1996), The relation between accounting goodwill numbers and equity values, Journal of business finance and accounting, 6, pp. 513-533. Lev B. (2001), Intangibles: management, measurement and reporting. (Washington: Brookings Institution Press). Lev B. (2008), A rejoinder to Douglas Skinner’s Accounting for intangibles – a critical review of policy recommendations, Accounting and Business Research, 38, 3, pp. 209-213. Lev B., Zarowin P. (1999), The Boundaries of Financial Reporting and how to extend them, Journal of Accounting Research, 37, 3, pp. 353-386. McCarthy M.G., Schneider D.K. (1995), Market perception of goodwill: some empirical evidence, Accounting and Business Research, 26, 1, pp. 69-81. McKinnox J.G., White H. (1985), Some heteroschedasticity consistent covariance matrix estimator with improved finite sample properties, Journal of Econometrics, 29, pp. 53-57. McLay S, Riccaboni A. (2001), Contemporary issues in accounting regulation. (Boston: Kluwer Academic Publisher). Morais A.I., Curto J.D., (2009), Mandatory Adoption of IASB Standards: Value relevance and Country-Specific Factors, Australian Accounting Review, 19, 2, pp. 128-143. Morricone S., Oriani R., Sobrero M. (2010), The value relevance of intangibile assets: evidence of mandatory adoption of International Accounting Standards (IAS/IFRS),Working Paper. Moscariello N., Pizzo M., Skerrat L. (2011), The impact of the IFRS on the debt contracting process: a comparison between Italy and UK, Working Paper. Nissim D., Penman S.H. (2001), Ratio analysis and equity valuation: from research to practice, Review of Accounting Studies, 6, pp. 109-154. Ohlson J.A. (1995), Earnings, book values and dividend in equity valuation, Contemporary Accounting Research, 11, pp. 661-688. Oliveira L., Rodrigues L.L., Craig R. (2010), Intangible assets and value relevance: evidence from Portuguese Stock Exchange, The British Accounting Review, 30, pp. 1-12. Paglietti P. (2009), Investigating the effects of the EU mandatory adoption of IFRS on accounting quality: evidence from Italy, International Journal of business and management, 12, 4, pp. 3-18. Sengupta P. (1998), Corporate disclosure quality and the cost of debt, The Accounting Review, 73, 4, pp. 459-474. Shahwan Y. (2004), The Australian Market perception of goodwill and identifiable intangibles, Journal of Applied Business Research, 20, 4, pp. 45-63. Skinner D.J. (2008), Accounting for intangibles – critical review of policy recommendation, Accounting and Business Research, 38, 3, pp. 191-204. Soderstrom N.S., Sun K.J. (2007), IFRS Adoption and accounting quality, a review, European Accounting Review, 16,4, pp. 675-702. Tsoligkas F., Tsalavoutas I. (2010), Value relevance in the UK after IFRS mandatory implementation, Working Paper, SSRN. White H. (1980), A Heteroschedasticity-consistent covariance matrix estimator and a direct test for heteroschedasticity, Econometrica, pp. 817-838.